Lots of people commute to work, every day all around the world. And really, there can’t be too many who like it. Sure, it depends on how you travel, how long it takes, and just how cool your job is. 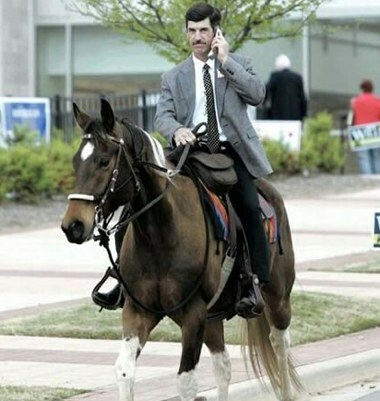 But for the most part, commuting is a drag. 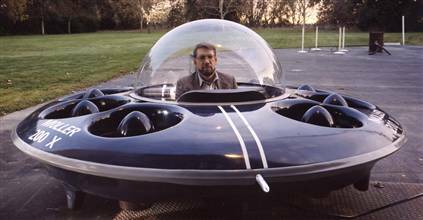 That said, there has been some interesting innovation around how to improve the commute, or at least deal with some of the problems. This list presents ten of those inventions to help improve the daily commute for those who don’t live next door to their jobs. 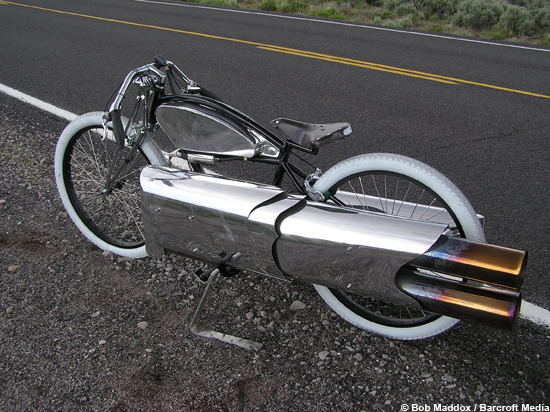 The jet bike, built by Bob Maddox of Oregon USA, uses a specially modified pulse jet engine that was once used on an early type of missile in WWII. Now this will definitely cut down on your commuting time – if you cant speed past all the traffic with this, you can certainly save time in the bike lane. Or devise a pair of wings and just soar over the lines of traffic on the highway. Commuting long distance and waiting for the train? If sense of personal space is not an issue, then here is an idea – pack ‘em in to the rafters, and when the crowd has hit the ceiling, just let it spill out too wherever there is a handrail or post to grab on to. 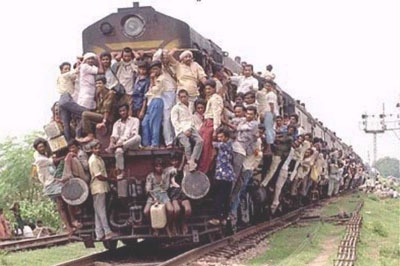 This may not be the picture of comfort, but it does cut down waiting time at the station, and surely this many passengers has got to mean a lower fare. It’s all good. OK, so larger passengers need larger seats – otherwise they take up too much room in the aisles. These plus size chairs are wider, stronger (obvious reasons) and capable of accomodating those who are going to take up two seats anyway. 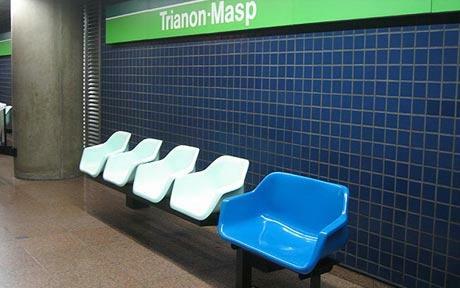 Interestingly, in some countries these seats have been installed in response to growing obesity problem, in an attempt to encourage larger people to use public transport.But transport bosses say that they are being shunned by obese customers who are too ashamed to use them. So, maybe encouraging exercise and fat food would address the illness, rather than just dressing the wound. 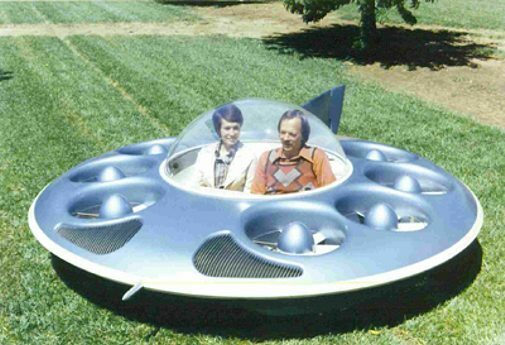 Having the ability to fly right over traffic and accidents in the road would be certainly be an uplifting way to improve the commute. 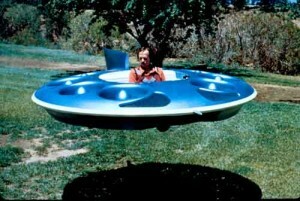 It�s the new way to get to work fast while avoiding traffic, according to inventor Paul Moller and the media outlets that picked up the news. The Moller M200G looks like a flying saucer and is powered by eight engines invented and produced by Moller Industries, capable of letting the vehicle hover to a height of around ten feet (not ten meters as some reported) and glide above ground at 50 miles per hour. Nothing worse than waiting for the bus or the traffic light to change, in rainy or otherwise wet weather, and getting the big splash! from a drive by. It has happened to most of us – best clothes on, important meeting, whatever – always at the worst of times – the vehicle going by hits the puddle beside the curb and bam! you are soaked. 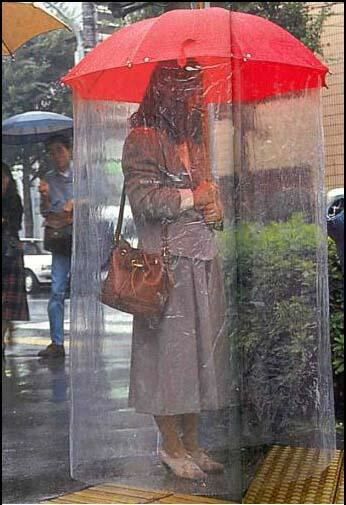 This handy dandy little invention will protect you from head to toe, and should be in every urban commuter’s tool box. Two big problems with falling asleep on the train after work: first, you might miss your stop. Second, the head could take a beating as it bobs back and forth. 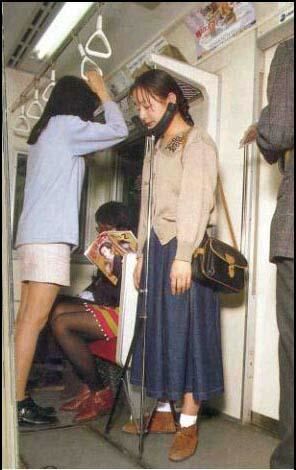 Here is one way to protect your head for those times when you doze off on the train and get woken at your station. The sign on the front lets people know which stop you get off and relies on neighbouring Good Samaritans on the train to wake you at the right time. Of course, while this innovative helmet-type device might keep your head from bobbing and weaving, or slapping back against the window/back of your seat, there is really no telling where you will end up if you do snooze. This commute technique will give you fresh air, drive you to get fit and be kind to the environment all at the same time – the electric bike. This example – the Cherry – designed by Alican Y?lmaz, is a futuristic vehicle that will give an altogether new meaning to the concept of personal commuting. 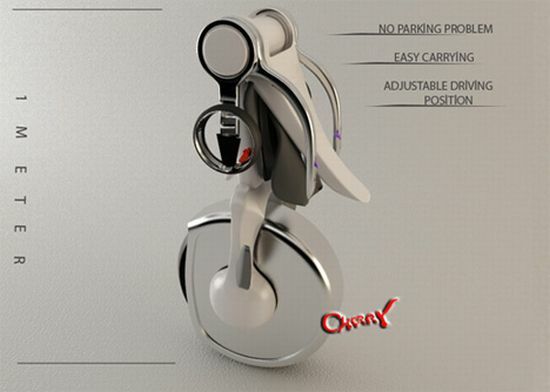 Basically intended for urban environments, this next gen hybrid promises a green drive and folds into a compact vehicle for easy parking or storage. Featuring adjustable driving positions, the electric vehicle is powered by a plug-in battery, located under the gel-padded seat, without causing any harm to the environment. 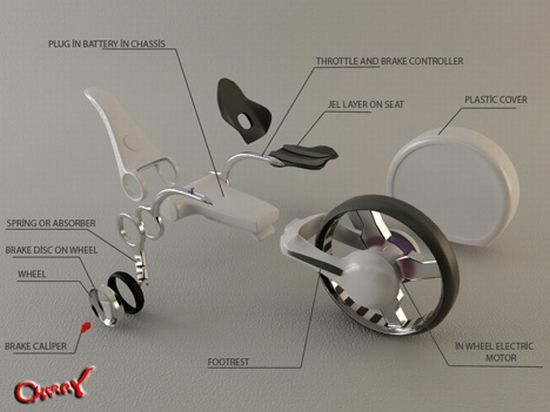 The rider can steer the vehicle by leaning in different directions, which is quite similar to a motorbike and control braking through armrests. 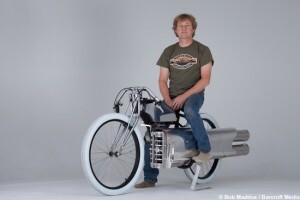 The huge front wheel of the zero emission vehicle houses the entire drive engine. A new gizmo for your commute – an electronic sleep mask for worry-free train naps. 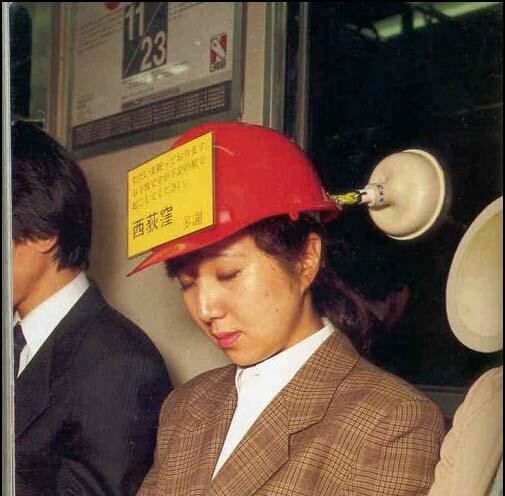 Similar to the helmet idea of advertising your stop, this device lets people know – in theory anyway – when to wake you. 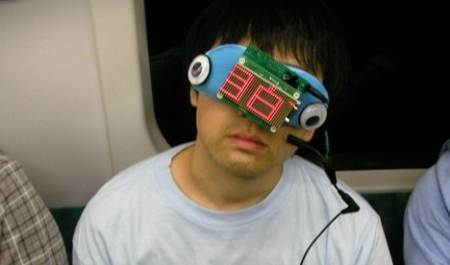 The Noriko-san is a sleep mask with an electronic scrolling display that communicates the wearer�s destination to fellow passengers. Noriko-san is designed to give sleepyheads greater peace of mind (and thus a deeper level of sleep) by increasing the odds that a stranger will wake them in time. In theory, other passengers feel compelled to act either out of courtesy or simply so they can sit in the empty seat left behind. 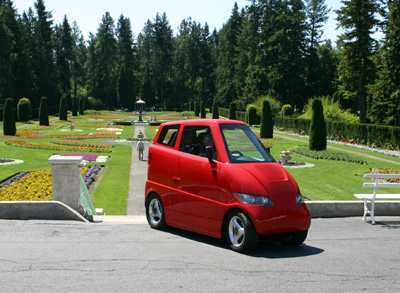 No problems finding a parking spot for this single seater electric car. 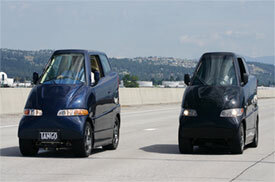 Could be the next evolution of the Smart Car. 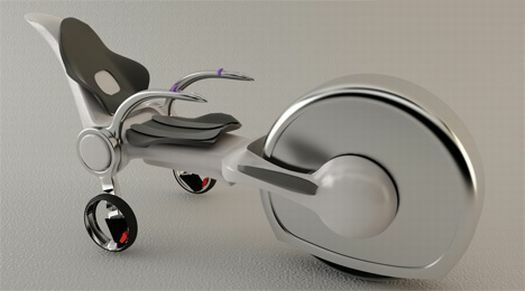 The Tango company says that their car combines the speed and agility of a motorcycle with the security of a high-performance sports car. 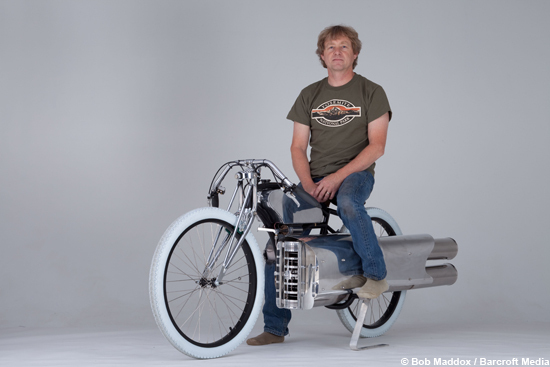 In fact this car is 5″ narrower than many motorcycles. If you are just exhausted from your hard day or rough night, and can’t get a seat, this handy-dandy little doo-dad lets you get some well-earned shuteye while standing up. Looks like it could be a little dicey with a sudden stop and a slip of the collar to the throat, but for a good snooze, maybe that is a risk worth taking.